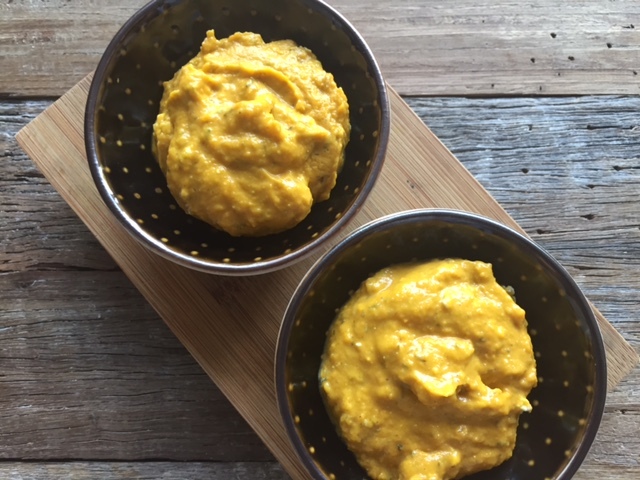 I got a little carried away after posting my last dip recipe – for sweet potato hummus. 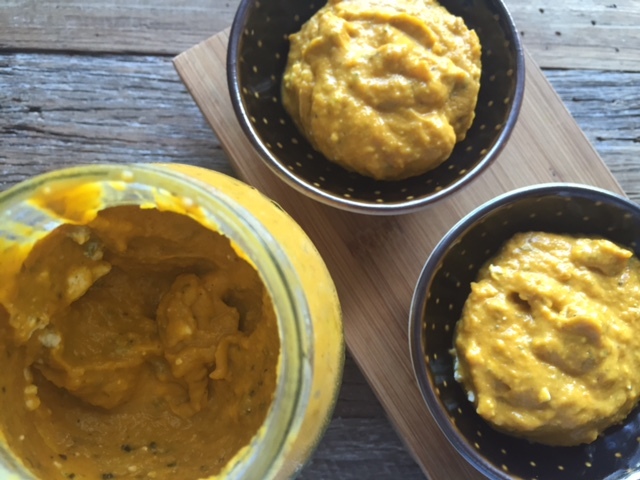 With sweet potatoes on special and a jar of tahini to be used I made a batch every few days. But, for December I wanted a new dip, one with a little Christmas magic. It was intended for my neighbours at a festive drinks and nibbles gathering – so it had to be more indulgent than hummus. This recipe comes with lots of inspiration from Alicia at Kitchen Konfidential. I saw her version back in October and earmarked it for December – Christmas being a time of year when more cheese than usual is always justifiable. Alicia’s recipe called for butternut squash but I used pumpkin instead, and it’s just as good. The great thing about this recipe isn’t just the minimal no-fuss ingredients, or the quick preparation time, it’s also the fact that this dip can be made days ahead and stored in the fridge. It’s been a week since my first batch and I’ve used this on its own as a dip, on a white base pizza, and even as part of a frittata topping. 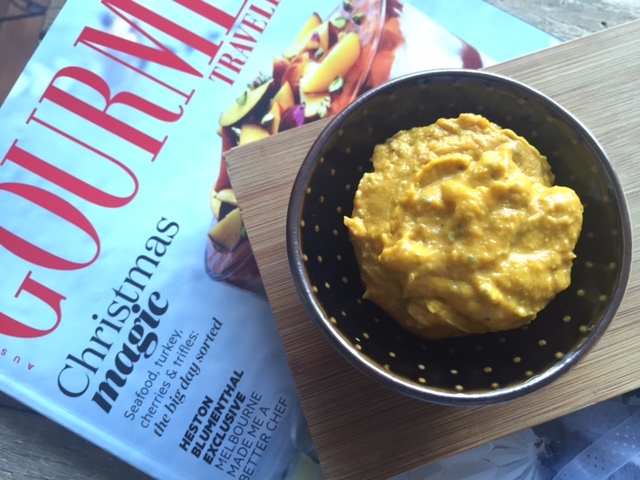 You could use pumpkin purée to make this dip even quicker to prepare (here in Australia it’s not a pantry staple). And of course, as Alicia pointed out, add slightly more or less blue cheese depending on how strong (and slightly sinful) you’re looking for it to be. Pre-heat the oven to 180C and add the diced pumpkin to a roasting tray – cook for 20 minutes or until it’s soft enough to pierce easily with a knife. Remove the pumpkin from the oven and allow to cool. Crumble the blue cheese. Add 3/4 of it to a blender along with the cooled pumpkin. Grate in a little nutmeg, add the dried herbs and season with salt and pepper. Blitz the mixture into a purée using the blender. Drizzle over then stir through a tablespoon or so of olive oil. Stir through the remaining 1/4 of crumbled blue cheese and transfer to a sterilised jar. Serve at room temperature or re-heat in the oven and enjoy warm. 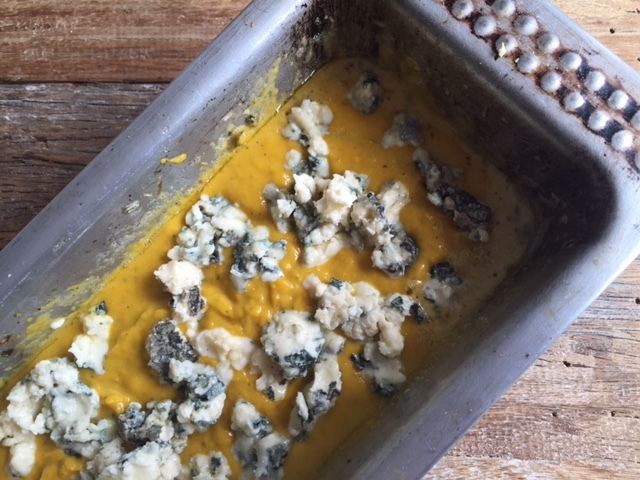 Tags: blue, cheese, dip, easy, Pumpkin, recipe, squash. Bookmark the permalink. Sounds delicious! What will you serve it with – crudites, chips, pita chunks?? Thanks Linda – I’ll serve with toasted sourdough thinly sliced, crackers, breadsticks etc…. Sounds delicious and so creative! I would have never thought of putting blue cheese and pumpkin together! Thanks Hannah – I agree I wouldn’t have thought to combine them either until I saw a similar post from fellow food blogger Alicia…. Thanks Elaine – it did, I now have 3 jars in the fridge to get through! Yes give me until Sunday! This sounds awesome! I think I’m going to serve this too, along with your salmon cake bites, for Christmas Eve dinner! Thanks! Thanks Deanna – yes both are healthy and simple and yet super tasty – would love to hear how you go! Hi Laura- both ended up being a hit for Christmas Eve dinner! The salmon cakes actually went “missing” as someone decided to take the whole lot home with them. So that’s definitely a keeper! The dip was fantastic as well. I’m trying it as a pizza sauce the next time I make it. Thanks again for the awesome recipes! Wow so happy both recipes worked well! 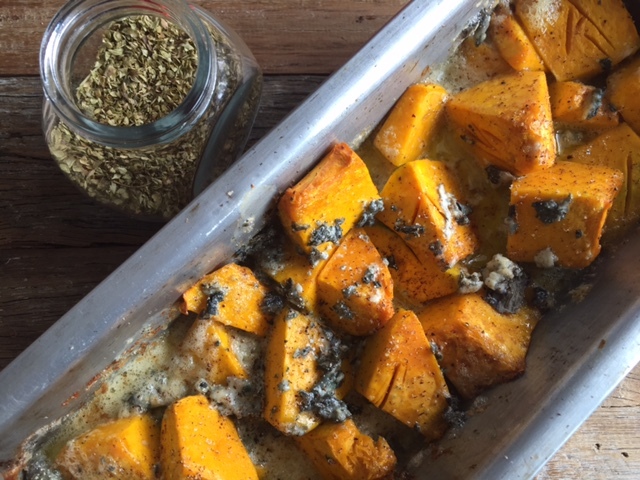 And yes the blue cheese and pumpkin keeps well in the fridge and works amazing as a pizza topping. Thanks again Deanna! Thanks Chitra – yes super simple but it works really well! Yum! Have a happy new year! Thanks Nell – it’s going well so far despite downpours in Sydney! so thrilled you pointed me in the direction of this gorge dip Laura. Is it wrong to want to use on pizza/pasta/rice/bread/eat by the spoonful? Not at all – I have used it for all of those things and especially as a pizza topping!